Welcome to Oregon City Acupuncture! Call or email today for a free thirty minute consultation or schedule an appointment. We look forward to assisting you in your journey to optimum health and wellness. Listen to you & your unique needs and concerns. 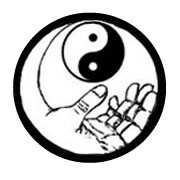 Focus on the whole YOU, drawing on our knowledge and training in both Western medicine and Traditional Chinese medicine. Assist you as you develop a deeper awareness of your place in the universe, and of yourself, both inside and out. Provide a safe place for you as you explore new dimensions in yourself and the world. Educate you about options in health care, how you may best heal and care for yourself and refer out as needed. Support you when you succeed and when you stumble, while understanding that you are always successful. Motor vehicle and workman’s comp insurance accepted.